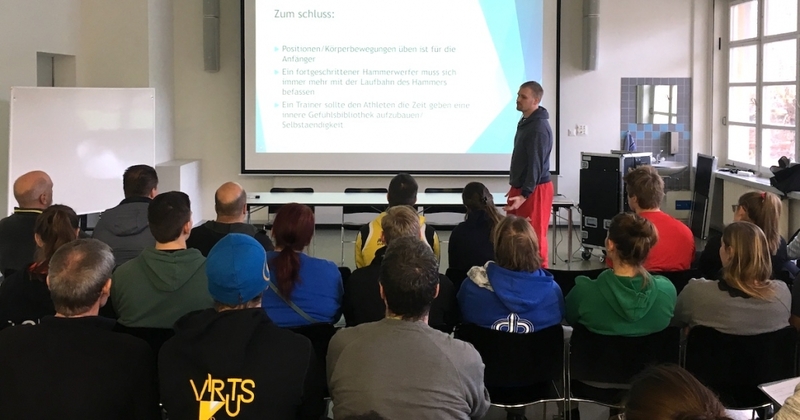 Throughout the month we are sharing different viewpoints on mental training, but it can often be difficult to see how the theory translates into practice in this area. 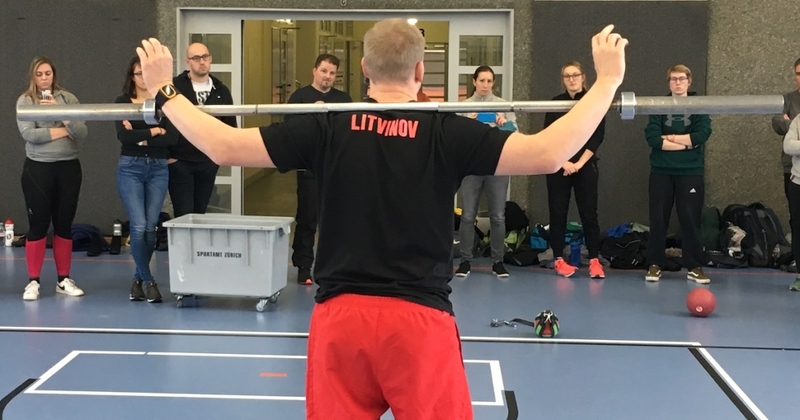 Last December we brought world class hammer thrower Sergej Litvinov to Zurich for a workshop. I’ve already written about his technical philosophy and how he rethinks drills for the hammer. But he also gave us a look inside his mental preparation and how an elite athlete integrates into physical training. Below are a few lessons he taught us. How many times have you seen an athlete choke as soon as they take one small step outside of their comfort zone? As soon as something unfamiliar arrives, the athlete shrinks. In our sport, it is often cause by a slick ring at a competition, early morning start times, unpleasant weather, or even having to use a different hammer. Last week I wrote about how climber Alex Honnold deals with such situations: “The only real way to manage fear is to systematically broaden your comfort zone so that you’re not afraid of it anymore.” Litvinov is of the same opinion, and he shared examples with us of how he actually works to do that. Unfortunately, most athletes work to protect their comfort zone rather than expanding it. The athletes who fear throwing in the rain are often the first to cancel training at when rain clouds near, or run inside for training instead. If it is raining hard, go out and throw. Rather than chasing the sun in the winter for training camps, stay at home and battle the snow and ice. And it is more than just avoiding what makes you uncomfortable, you should also actively seek it out. Worried about throwing a crappy hammer at a meet? Then find some crappy hammers to throw in training. Have trouble adjusting to different rings? Find some nearby training facilities that can give you a new environment you have to adjust to. This is a strategy I have used throughout my career. Growing up in Seattle, I had an advantage when it came to unpleasant weather and bad rings. When it started raining at a competition, I always got excited as my competitions froze up. My personal best was even in torrential downpour. Poor performance is not inevitable in such situations; we can train ourselves to be stronger once we expand our comfort zone. The path to mastery is a long one. There is no shortcut to becoming great. Sometimes you’ll get lucky and make a bring jump forward, but don’t confuse results with the process. The process is slow and steady. Litvinov learned this point from Olympic champion Koji Murofushi. Koji would start in autumn with little things and never try to tackle a big task head on. This didn’t just apply to physical training, it also applied to his technique. He just worked on one small thing at a time until he covered every aspect of his throw. After the whole year of little steps, you will know your movement very well and you can always recall every aspect of your movement in difficult conditions. We’ve been talking about mental training, but the mind is nothing without the body. In the end, it is not about the mind, but the mind-body connection. This can only be built in training through strong concentration. The natural tendency is for the mind to drift in training. No matter how focused you start out in training, inevitably the concentration will wane. Perfect concentration through the whole training session might not be possible, but we can always fight to improve our concentration. The first step is recognizing how often you mind shuts down during the movement. One tip Litvinov has here is simple: rate your concentration after each session on a scale of 1 to 10 or in percentage terms. This only works if you are honest with yourself. If your mind is away during the training, admit that and try to fix. Fixing it it not easy. For some athletes, simply tracking their concentration might be enough. For others, they need more. Litvinov will often use games in training that have the positive side effect of increasing concentration. More than anything, coaches and athletes need to be creative and accountable. There is a time and place for letting the mind turn off, but this kind of mental state is a privilege and you have to earn it. A hammer thrower must build up their inner world. We have all seen athletes that instinctually look at their coaches for input after each move. Often, this is done out of necessity. How can we expect a child to learn algebra if we always give them the solution for X. Similarly, if athletes never have to solve technical puzzles on their own, their problem solving skills never develop. This will hamper their independence at competition, but also hinders their long-term motor learning abilities. Coaches need to help athletes develop their own feeling and feedback rather than telling them what the feeling is. One easy way for a coach to do this is to simply shut up. Coaches often feel the urge to provide feedback on every throw, but that isn’t needed. Or, if there is an urge to say something, ask the athlete first what they think. Drills can also be used to develop feelings by focusing on certain aspect of the throw, or by allowing athletes to get more specific and direct feedback from the implement rather than the coach. This is also why Litvinov often describes the drills he uses as mental drills rather than physical drills. Each drill is designed more to develop a feeling for the implement, rather than a physiological trait. You can look at how he breaks down a few examples to see what the means in practice. Finally, standard sports psychology methods like visualization should not be discounted. Throwers should work to more frequently visualize the movement in their free time. Furthermore, they should seek to live the movement. After the workshop we were chatting over a beer about how we learned to throw the hammer. The stories we shared are common amongst top throwers: we did hammer turns in the kitchin in our socks, we did hammer turns on our walk to school, we did hammer turns in the pool while our friends were splashing around. To be good at anything you have to live it. That means thinking about it and trying to do it as much as possible. The mind needs the occasional break too, but as a beginner it is hard to focus on it too much.